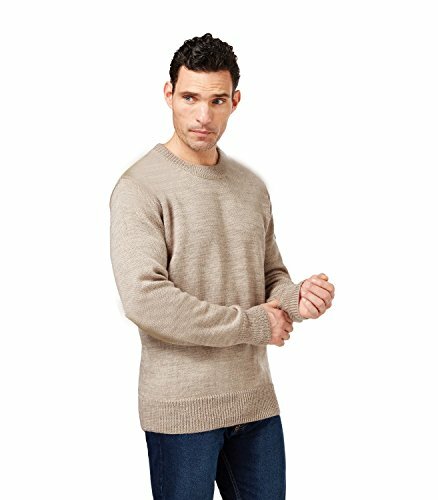 Deluxe 100% Peruvian Royal alpaca Crew Neck Pullover Sweater - completely de-haired & ultra soft - a dream come true. Royal Alpaca is a rare and unique fiber, only 1% of all alpaca fiber production in the world can be classified as royal. At 19.0 to 19.5 microns is with no doubt the king of alpaca fiber. Softer than cashmere with no itch of wool, medium weight. Includes a Certificate from the Research, Social Projection & Alpacas Centre - National Agragian University of Peru - guarantees 100% Royal Alpaca fibre (19.0 to 19.5 microns) and Certificate of Origin expedited by Peruvian Chamber of Commerce which accredits the origin of goods. If you have any questions about this product by Sweet Dreams Home, contact us by completing and submitting the form below. If you are looking for a specif part number, please include it with your message.